I’m still not in love with the name change for Power Query. My concern still stems around the fact that this tool, while integrated with Excel, has it’s own coding language, and therefore needs a name so that users can search for help. Searching for help with Excel is going to land you Excel’s formulas, not Power Queries. And “M” is hardly a discoverable term either. Re-brand fine, but give the tool a name like “Excel Queries” or something to distinguish it from MS Query and Excel. Without that it’s going to be a nightmare for a user to get help on the subject. I feel the pain about Power Query’s name change as well. I think it’s a good change. Excel is Excel and Power BI is Power BI. Clear and simple. Yes ofcourse its a pity that a lot of info can’t be found anymore, but it’s only a matter of time before new stuff will be available. Looking forward I think its a good decision. Frenk: To me, the fact that Excel is Excel and Power BI is Power BI is part of the problem. And Chris, I’d say that it’s not just the prefix that’s intimidating for regular Excel users, but the effectively new UI of that new functionality. They can change the name to “Fluffy Duck”, but that functionality is still going to be alien to 99% of Excel Users rather than a natural extension of Excel. And right there is a big thorny issue: even with a name change, these tools represent a growing digitial divide between traditional Excel users and BI Jedi that Microsoft are not doing enough to bridge. A name change alone won’t bridge it. Say I’m a fairly unsophisticated user of Excel by the standards of most readers of this blog. I can do VLOOKUPS, maybe the odd SUMPRODUCT, and I’m a real gun on creating and using PivotTables on data that lives in Excel. And say I want to mash together some identical tables that came from 20 different business units containing budget information, and serve it up as a PivotTable. I can’t do it. Even if I have this very sophisticated PowerStuff installed. Because this very sophisticated stuff isn’t exactly childsplay to use…even of the very minor thing I want to achieve: mash some data from within Excel into a PivotTable in Excel. While the data model on the surface looks like an unsophisticated user could mash together different tables, in practice they can’t get the result they want with the easy-to-use Data Model alone, because there’s no UNION ALL type of relationship. Or say they don’t want to mash together identical templates, but instead they have some transactional sales data that had product ID, and quantity sold, but no price. And in another table they have ProductID and Price. And they need to work out how much money they made. Again, they can join these two tables using the Data Model, but they can’t use that to create a calculated column Price*Quantity. For that, they need to open the very sophisticated PowerQuery. But they’re not an overly sophisticated user. At the same time, this kind of thing isn’t an overly sophisticated thing to ask of Excel, and its something that users have to do all the time. Most of them probably do it manually. Or with hundreds of thousands of formula calls. And here’s my point: your average user needs to be able to do no-brainer things in Excel in a no-brainer fashion. Don’t get me wrong: I’m not asking that MS dumb down the tools or make the UI for these tools so easy to use that skilled practitioners find them nearly worthless. But I’m reminding you to keep an eye on what your less sophisticated users can do. The best outcome is to get them using these sophisticated new tools to meet their relatively unsophisticated requirements without them even realising that they are doing so. Yes, they can do this kind of stuff with PowerQuery. But PowerQuery is PowerScary. It is not something that the relatively unsophisticated user is likely to get to grips with. Ergo it’s not something that probably 95% of Excel users worldwide could easily come to grips with. 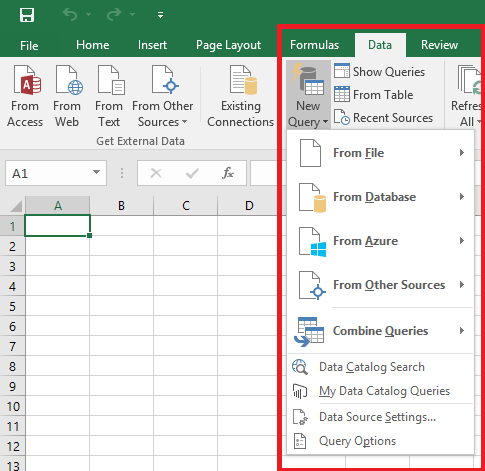 If you are one of the hundreds of millions of people who use Excel as their analysis and reporting tool today, you should find it easy to begin using the Power BI service and Power BI Desktop to expand the capabilities of your analytic toolset. I’d suggest that if you are one of the hundreds of millions of people who use Excel as their analysis and reporting tool today, you should find it easy to mash together simple data from within Excel, and serve it up within Excel. But I think it’s highly likely that you won’t find it easy to use the Power BI service and Power BI Desktop to do this. We need much more than a name change. Again, the best outcome is to get a much larger percentage of the Excel User Base using these sophisticated new tools to meet their relatively unsophisticated requirements without them even realising that they are doing so. There’s a marketing team in Redmond that has no idea how the product works or who uses it. Initial PowerQuery and “M” language were a beautiful extension of Excel functionality and I think they should be definitely distinguished in Excel. I have created a planning solution using PowerQuery and it works as a kind of easy-to-use emdedded ETL tool and not necessarilly desined for users interference with the “M” code but rather the solution quickly developed in Excel file and shared with others for automatic data updates with predefined business logic. I think there is ongoing discussion with defining where the distinction line lies between so-called “self-service” BI and professional BI environment. And more emphasis needs to be put on developing data-modellling skills for users than hiding the distinct and powerful functionality which actually implements a new concept of working with data in Excel. Hi Chris, I’m a big fan of your books. A bit off topic, but is there any chance that a new edition of “The BISM Tabular Model” will come out that incorporates the SQL 2016 Tabular changes? The next name change could be Acquire & Chop, who knows? This will confuse the novice users trying to migrate from one version to another in Excel. 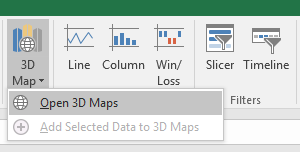 trying to get a little bit more sophisticated here, but neither google nor bing or support.powerbi.com has any answers for this Power BI Desktop error message: “Can’t display the visual. See details”. i know my finance users will have none of this if it’s not working in Excel. Hmm, hard to say – sounds like a bug. Maybe there’s something wrong with the Power BI installation? 1) It’s confusing to have two groups on the data tab to get data. If you’re a user that hasn’t been following the plot, which group do you use? Deprecate the Get External Data Group (hide in command well). 3) Print books are useless for software that is changing monthly (Power BI, Power Query & Office 365 post 2016 release). The books are near obsolete before being printed. Only eBooks that can be regularly updated (and where new content can be added without having to worry about stupid page limits) make sense. 4) Most likely, Power View will go away and the functionality will be built into Excel Pivot Charts – where it belongs. 5) Only man left standing will be Power Pivot, and already most of the functionality on this tab appears elsewhere. Think about it. So far, in Excel 2016 we no longer need to use the Power Pivot tab to manage the data model, detect relationships (this last one since Excel 2013), or create a measure. It’s easy to move the remaining commands on the tab elsewhere. Instead of Power Pivot (which is confusing because people still refer to the data model as Power Pivot), simply rename the Power Pivot for Excel dialog box to Data Model Manager, and in the task pane, retitle from Power Pivot Fields to Data Model Fields. 6) The “Get External Data” group should disappear from the data model manager Home tab. All good points Colin. To go off on a slight tangent about #3: certainly that was the problem my Power Query book had, but I’m not sure continuously updated ebooks are viable. Writing a book takes a long time and you get no direct financial reward from it; updating/extending an existing book is also a lot more effort than you would expect. Historically, tech authors (like me) would invest a couple of months writing a book, and then once they were done put it to one side and make their money from the consultancy and training work that the book brought in. If I had to spend my time rewriting a book every month, even after all the up-front effort of writing it, I don’t think that would leave enough time to be able to capitalise on it; the same goes for any other highly-structured content like video training. So my feeling is that one of the downsides of regularly-updated software is that there will be fewer books written overall, and all we’ll have is shorter pieces of content like blog posts. Chris, I would agree with your points, having authored the Excel Quick Reference for Dummies book over several Excel versions. Even a small book like that takes a lot of effort to do right (for little financial gain). And it’s not just adding new stuff. If there are UI changes (which occurs in every version of Office), you have to review the entire book to make such screen captures and procedures for accomplishing a task are up to date. I was describing an idealized situation rather a practical one in point (3) I suppose. Your last sentence is quite telling – I can hardly disagree. One key advantage of books is that topics are organized into logical sections (chapters). I suppose that one scenario is to use blogs posts as a fill in between book editions. However, even blog post are subject to obsolescence, after sufficient time passage and frequent software updating! Either that, or you could change your title from “Power Query for Power BI and Excel” to “Get Data for Power BI and Get & Transform for Excel”.